The underdogs came up with a huge victory. The Overwatch League’s history of Korean dominance has ended. Boston Uprising—a mishmashed team of underdogs—took down world-class Korean roster London Spitfire on Thursday. The league’s Jan. 25 matches kicked off with the undefeated Spitfire facing off against the unexpectedly strong Boston Uprising. Overwatch League’s first match went to a full five-game series, with London taking the first map in overtime on Numbani. Boston struck back on Temple of Anubis and Ilios, before London tied things up again on Junkertown. Game five took the teams to Lijiang Tower, as always, where Boston looked strong against the London-based team. Boston exploited London’s weakness on capture point maps, where London simply played too passively to stop the boys from Boston. 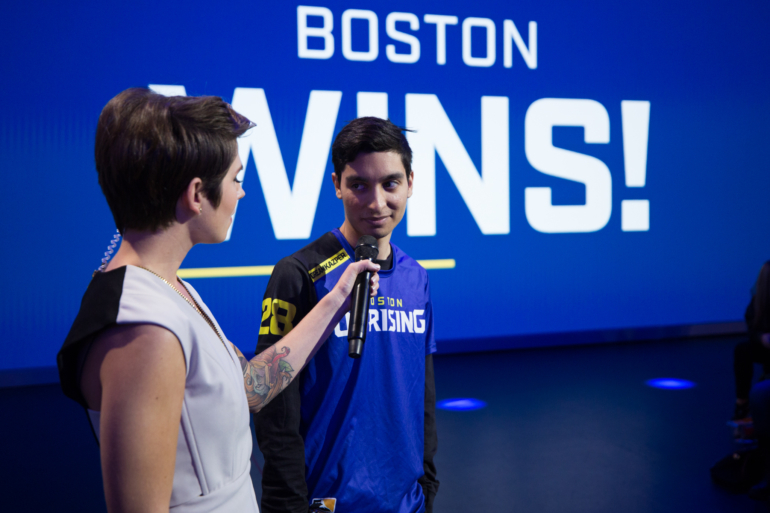 Three players in particular stood out for Boston: Jonathan “DreamKazper” Sanchez, Kwon “Striker” Nam-joo, and Noh “Gamsu” Yeong-jin. All three of them produced a ridiculous amount of kills across the series, impressing even in the maps Boston lost. Despite taking the loss, London Spitfire looked good on Numbani and Junkertown. It was on those two maps where the team kept their composure in the face of Boston to execute their strategies with superior precision. Both teams are proving to be ones to reckon with. Boston Uprising face Dallas Fuel on Jan. 27—a match that will prove important for both teams. Boston will want to prove the win against London wasn’t a fluke, while Dallas Fuel is looking for their first win in the Overwatch League. London has sullied its perfect history in the Overwatch League, but will have until next week to return with a plan.